The Cooper is a new boutique collection of 17 residences, including 2 carriage homes, in coveted, historic Kalorama. Gracious, luminous interiors feat custom panel moldings; hand-milled white oak floors in a herringbone pattern; 11 ceilings; big, expansive windows; Miele appliances; fully integrated custom European cabinetry; baths w/heated floors and Waterworks fixtures. Limited parking available. 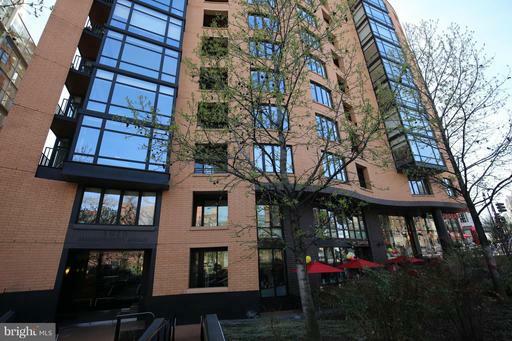 Unit 10 is a NW corner 1BR/1.5BA Flat with a PRIVATE TERRACE. The Cooper is a new boutique collection of 17 residences, including 2 carriage homes, in coveted, historic Kalorama. Gracious, luminous interiors feat custom panel moldings; hand-milled white oak floors in a herringbone pattern; 11 ceilings; big, expansive windows; Miele appliances; fully integrated custom European cabinetry; baths w/heated floors and Waterworks fixtures. Limited parking available. Unit 13 is a TOP-FLOOR, TWO-LEVEL 1BR/1BA. Photos are of Model Unit 14. The Cooper is a new boutique collection of 17 residences, including 2 carriage homes, in coveted, historic Kalorama. Gracious, luminous interiors feat custom panel moldings; hand-milled white oak floors in a herringbone pattern; 11 ceilings; big, expansive windows; Miele appliances; fully integrated custom European cabinetry; baths w/heated floors and Waterworks fixtures. Limited parking available. Unit 14 is a TOP-FLOOR, TWO-LEVEL 1BR/1BA with ample closet/storage space. BACK ON THE MARKET! The Cooper is a new boutique collection of 17 residences, including 2 carriage homes, in coveted, historic Kalorama. 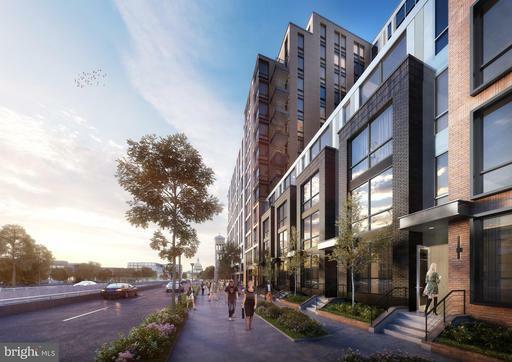 Unit 15 is a TOP-FLOOR, 2-LEVEL 1BR/1.5BA feat Soaring Ceilings; Southern Exposure; Expansive Kitchen w/Fully Integrated Custom European Cabinetry, Quartz Waterfall Island, Miele Appliances Gas Cooking; Custom Panel Moldings; Hand-Milled White Oak Floors in a Herringbone Pattern. 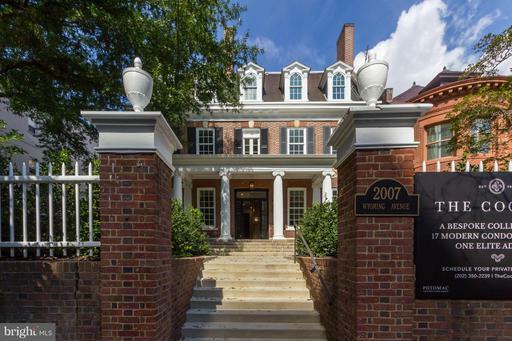 The Cooper is a new boutique collection of 17 residences, including 2 carriage homes, in coveted, historic Kalorama. Gracious, luminous interiors feat custom panel moldings; hand-milled white oak floors in a herringbone pattern; 11 ceilings; big, expansive windows; Miele appliances; fully integrated custom European cabinetry; baths w/heated floors and Waterworks fixtures. Limited parking available. Unit 5 is a SW corner 1BR/1BA Flat. Pictures are of Model Unit 8 which is a smaller version of Unit 5. The Cooper is a new boutique collection of 17 residences, including 2 carriage homes, in coveted, historic Kalorama. Gracious, luminous interiors feat custom panel moldings; hand-milled white oak floors in a herringbone pattern; 11 ceilings; big, expansive windows; Miele appliances; fully integrated custom European cabinetry; baths w/heated floors and Waterworks fixtures. Limited parking available. Unit 1 is a SW corner 1BR/1BA Flat on the lower level of the building. 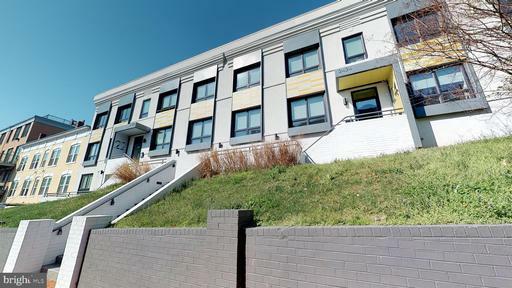 Pictures are of Model Unit 8 which is one floor above Unit 1. 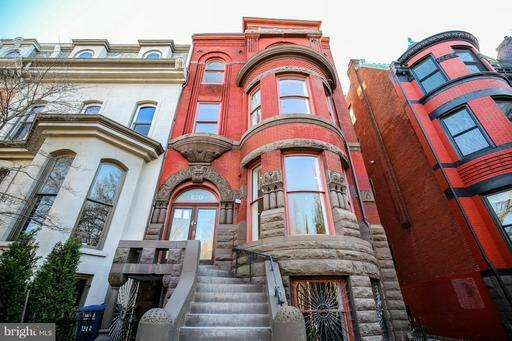 Located in the heart of Adams Morgan, This Top floor, bright west-facing 1 Bedroom/ 1 bath with a private roof top terrace seeks to impress! Accompanied by sleek European finishes Bertazzoni and Blomberg. This unit offers the ability to have it all Built in custom wall unit w/ Queen size bed frame + storage drawers, KEVO wireless lock, Energy efficient NEST thermostat, Porcelanosa tile work, LED lighting, Assigned Unit storage/bike storage,and in-unit Washer/Dryer! 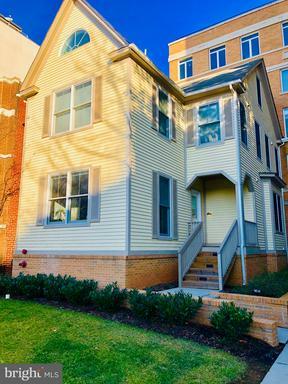 Make this your new home just steps away from Harris Teeter, Meridian Hill Park, VIDA Fitness Gym, and restaurants.